Part 16 in our series A to Z Considerations for Seating & Wheeled Mobility: A Quick Reference Clarifying Confusion Around CRT. See Part 1, Part 2, Part 3, Part 4, Part 5, Part 6, Part 7, Part 8, Part 9, Part 10, Part 11, Part 12, Part 13, Part 14, and Part 15. 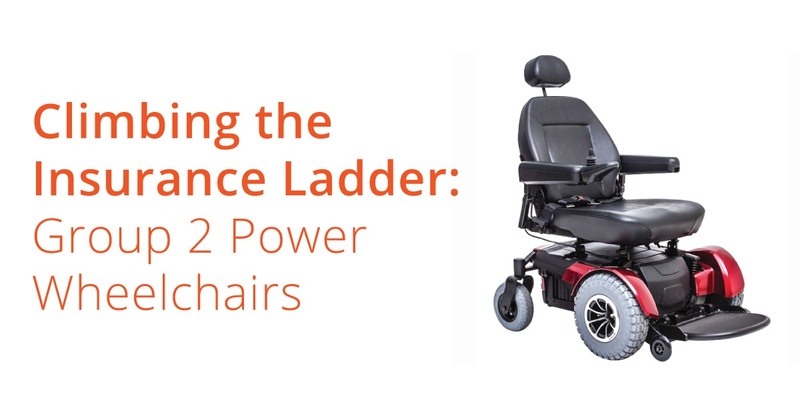 Once you have successfully ruled out a scooter/POV and Group 1 power wheelchair, the next step is to “climb” the Medicare ladder and investigate whether a Group 2 power wheelchair may be the appropriate mobility device for your client! First, let’s all get on the same page regarding this term: Group 2 power wheelchair. What is a Group 2 power wheelchair? Compared to scooters/POVs, Group 2 power wheelchairs have a more durable and robust power base with improved battery life, lasting longer distances for a more active user. Group 2 power wheelchairs can also drive at increased speeds, up to ~4mph, compared to scooters/POVs. They do, typically, have 6-wheels for improved stability and are available in mid- or front-wheel drive options (we will discuss the pros and cons of these different drive options in a later post!). These allow for a tighter turning radius and improved navigation in smaller spaces, such as within the home when compared to scooter/POVs. Along with the wheels, the base itself is smaller than a scooter in width and length, providing improved accessibility within the home. Group 2 power wheelchair bases start to have some obstacle climbing capability and some ability to manage mildly uneven terrain, but this is very limited in the Group 2 models. The joysticks have SOME basic programming capability to individualize torque, damping/sensitivity, etc. As for seating options, Group 2 power wheelchairs are most commonly seen with captain’s style seating, which offers no positioning or skin protection components, but most manufacturers can mount rehab seating onto Group 2 bases. Also, certain manufacturers can add power tilt and even power recline onto a Group 2 base. However, if your client requires multi-power seat functions, such as power tilt, recline, and power elevating leg rests, a Group 2 power wheelchair cannot accommodate all of these power seat functions. Also, if your client requires an alternative type of drive control, such as a head-array system, then a Group 2 power wheelchair will not be able to accommodate this. Of note, Group 2 power wheelchairs do not require a PT/OT evaluation/written justification from a therapist as they are not considered complex rehab technology (CRT); this type of equipment CAN be provided by a DME company in collaboration with a physician. Although, I feel it is best practice for a clinician to be involved in the attainment of this type of equipment to ensure the user’s needs are FULLY being met, i.e. all body systems, function, posture, and prognosis are being taken into account in the chair and seating system. Think about diagnosis and prognosis: do you anticipate the condition may worsen to the point that the client WOULD require additional power seat functions (on top of tilt and recline, for example) that cannot be accommodated in a Group 2 model wheelchair, i.e. power elevating leg rests or a head-array drive control system? *TIP: If the client does not currently need these additional features, a Group 3 base can be ordered with “expandable electronics” so these items can be added down the road, if needed. However, remember the chair is intended to last approximately 5 years. So, if you anticipate your client will need these additional features within the lifetime of the chair, go ahead and request and justify the need for them NOW! Is your client a very active user/all-day user who will require longer battery life than a Group 2 can provide? Does your client require higher speeds than a Group 2 base can attain? Does your client need the ability to climb obstacles easily, i.e. thresholds within the home, a small step to enter the front door from the porch, or curbs in the community? 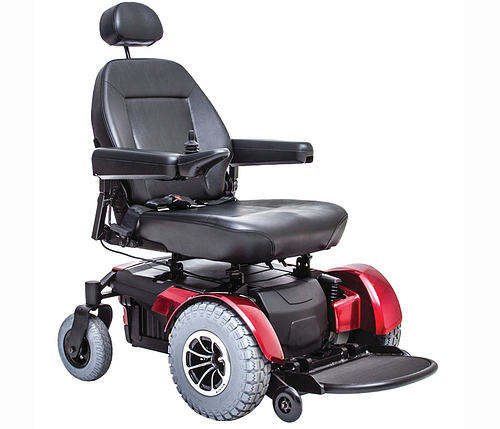 Think about whether your client needs to drive the chair on uneven terrain; Group 2 power chairs have VERY limited driving capability on uneven terrain due to minimal suspension. *Remember, even though we have to justify based on need within the home, it is always important to address and discuss the user’s needs outside of the home. For example, I had a client who ran a tiger rescue on her land in the country. She needed to be able to traverse the hills and uneven terrain necessary to navigate the land and feed and care for her tigers; this was an important point to address in both the selection and discussion of appropriate equipment for this client. If you and the ATP have determined that a Group 2 power wheelchair base does not currently OR will not, within the life of the chair, meet your client’s current or changing needs, then we “climb” the ladder to a Group 3 base. Join me back next week as we jump into Group 3 power wheelchairs and discuss how we can justify this higher end base to payers! Brooks, Sharon F, MA, OTR/L, ATP/SMS, CRTS. 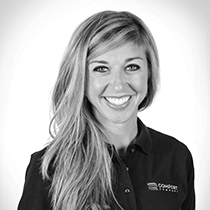 “Power Wheelchair Options: ‘But What Can My Patient Get? ".” Rehab Managment, 8 Aug. 2013, www.rehabpub.com/2013/08/power-wheelchair-options-but-what-can-my-patient-get/. The FUNDamentals of DME Equipment: A Guide for Selection, Acquisition, and Delivery of Complex Rehab Technology. Beth Beach MS, OTR/L, ATP, Tony Leo MOT/L, ATP. National Academies of Sciences, Engineering, and Medicine. 2017. The Promise of Assistive Technology to Enhance Activity and Work Participation. Chapter 3: Wheeled and Seated Mobility Devices, page 48. Washington, DC: The National Academies Press. https://doi.org/10.17226/24740.